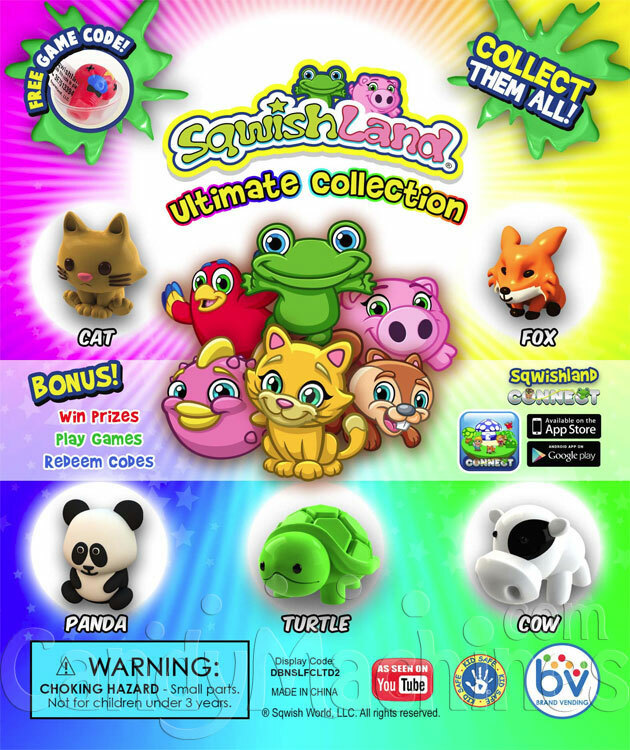 A variety of Sqwishland characters are featured in this fun mix. Every bag is different...that's the fun of the surprise inside each capsule! Each squishy animal pencil topper comes in a safety sealed round capsule. Can vend for 25 cents or 50 cents. Every bag offers a fun mix of 250 toy capsules which are pre-filled for your convenience making it quick and easy to load into your bulk vending machine. These toy filled capsules are ready to vend and will dispense in machines with a 1 inch capsule or gumball vending wheel. My son wanted these toys as a party favor for his birthday and they were sold out on the manufacturers website. He was so excited when I found them at CandyMachines.com. The shipping was fast and the sqwishland capsules were the real deal for a great price!